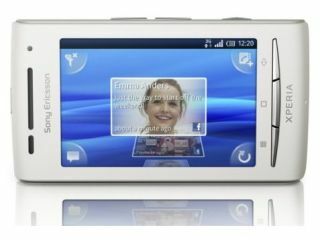 The Sony Ericsson Xperia X10 line up might have been given an Android 2.1 update, but the Xperia X8 looks like it will have to wait. According to PC World, the new phone will be getting an update, but not any time in the near future, with at least a month or two left to wait. The Android 2.1 update will be coming 'by the end of the year', meaning it could easily be 2011 before network tests have been run to allow it launch in the UK. More details on what the update will entail are set to drop soon, as there's no information on what other treats the firmware update will bring. The original X10 is currently being blessed with HD video recording to add to the 8MP camera it's already packing, but it's uncertain whether the Xperia X8 will get the same treatment. Either way, anything is better than Android 1.6 for today's modern smartphone user - better integration of social networks and Exchange should at least make the phones a lot more attractive.